The weekend starts with another blast of spring weather, making Friday a great time to enjoy the outdoors in York County, where you&apos;ll find natural beauty everywhere from a 21-mile rail trail to the majestic Susquehanna River. Here are three ways to spend your weekend in York County, starting with suggestions for some outdoor adventure and finishing with a sale that amateur watch and clock makers won&apos;t want to miss. It&apos;s supposed to break 70 degrees Friday, making February feel more like spring. It&apos;s a good reason to burn a vacation day and get outside. York County features plenty of awesome options for outdoor recreation. 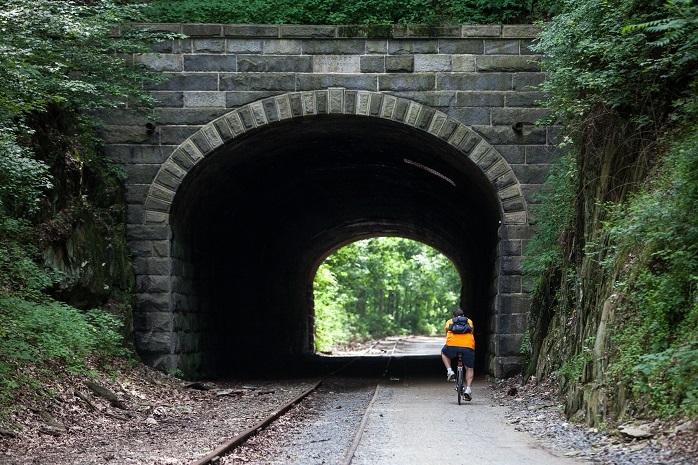 Bike the York County Heritage Rail Trail, get your National Park passport stamped at the Zimmerman Center for Heritage as you explore the Susquehanna Riverlands, or play a round of disc golf at Codorus and Gifford Pinchot state parks. Whatever you choose, enjoy the reprieve from winter. All this warm air should have the sap flowing in the maple trees - and just in time for the Maple Sugar Fest at Nixon County Park, too. You&apos;ll learn how maple syrup is made, as well as the history of maple sugaring. By the end of the day, identifying a maple tree will be a breeze, and you&apos;ll even learn how to collect sap. Tours will run hourly from 10 a.m.-3 p.m. Plus, enjoy hikes, crafts and activities outside and inside the Nature Center, too. A $2 admission fee is good for the entire weekend. Children ages 5 and under get in free. Rain is in the forecast, but luckily the Maple Sugar Fest also runs Sunday and the weekend of March 4-5. This week is the time to buy for horological enthusiasts. The National Watch and Clock Collectors are putting up for sale shop tools, machinery, project clocks and parts. Thousands of books will also be available. The sale runs 9 a.m. to 3 p.m. Saturday and Sunday at the former School of Horology, directly across the street from the National Watch & Clock Museum in Columbia. Carve out some time to attend because amateur watch and clock makers won&apos;t want to miss this opportunity.